This Must Be The Fastest Tour Of World's Largest Cruise Ship Ever! Cruise News Royal Caribbean This Must Be The Fastest Tour Of World's Largest Cruise Ship Ever! This Must Be The Fastest Tour Of World’s Largest Cruise Ship Ever! This could possible be the fastest tour of Harmony of the Seas, the world’s largest cruise ship. Royal Caribbean recently put together a one minute hyperlapse tour of the mega ship. On the super fast tour we get to see almost all parts of the ship from external views and the sports deck all the way to the inside spaces which are a hive of activity. Can you imagine a tour lasting just a minute and having to run around the vessel? Well, you don’t have to because the cruise line did it for us! Harmony of the Seas is a huge ship at 227,000 gross tons and carrying 5,400 guests at double occupancy. The ship only recently began Caribbean cruises out of Port Everglades, Florida and before that sailed a transatlantic voyage from Barcelona, Spain. The ship currently alternates between Eastern and Western Caribbean itineraries. 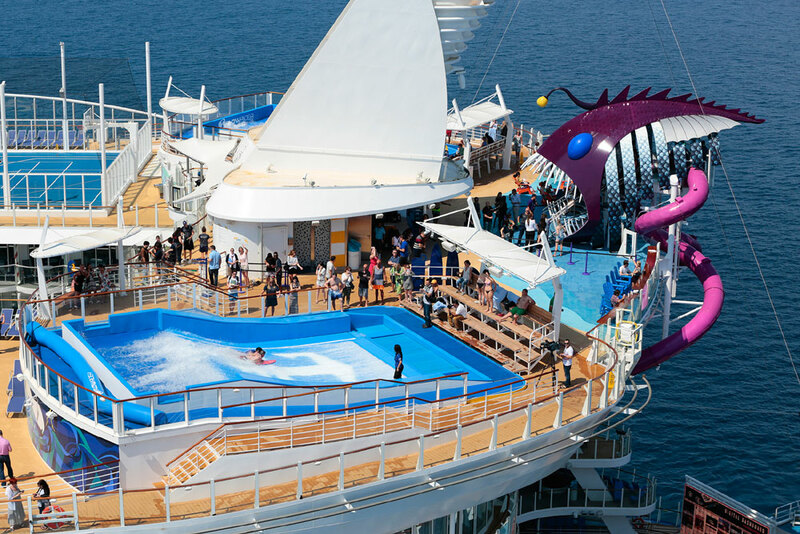 Harmony of the Seas includes the first ever 10-story high Ultimate Abyss slide which not even other ships in the same class have. There are way too many onboard features to mention but just by watching the one minute hyperlapse there are enough for a small city.